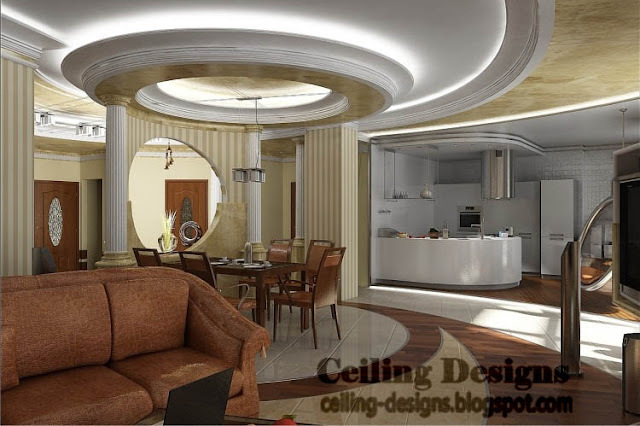 this luxury interior ceiling design is made from gypsum , the ceiling tray has two materials, frame from gypsum , it's body from glass there are two decorative columns from gypsum , the gypsum frame hides lighting sources to make this amazing lighting glow. 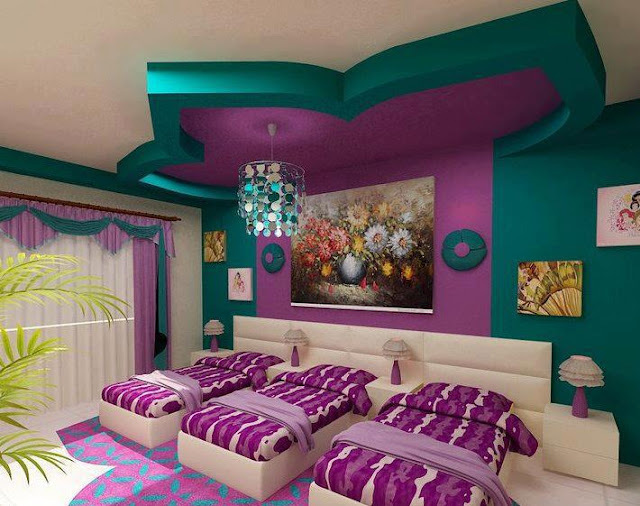 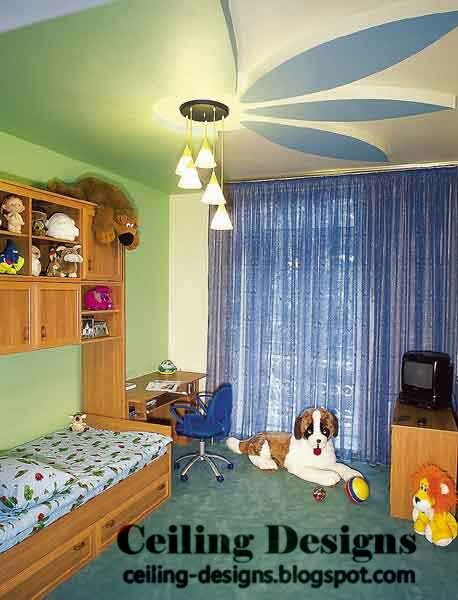 this large gypsum ceiling design is suitable for the floor with opened rooms. 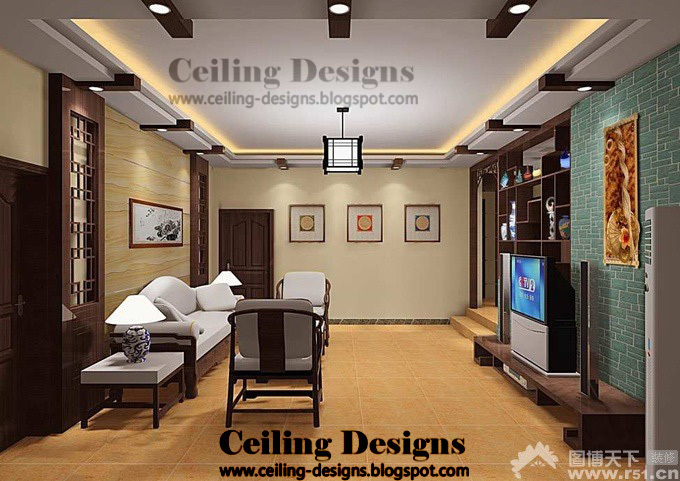 simple fall ceiling design , it's a gypsum frame under the main ceiling , there is hide lighting between the fall gypsum ceiling and the main ceiling, the gypsum ceiling has wood decorations, some of wood panels that spread on the frame, each one of wood panels has lighting spot that to spread the light into the living room.